Born and raised in Cambridge, Ontario, David’s vast knowledge surrounding homes and the Real Estate industry combine with his dedication and his friendly personality to provide each client with an outstanding real estate experience. Starting at a young age, David’s carpentry skills and "behind the drywall" knowledge came from assisting his grandfather with building 3 family homes. After graduating from Glenview Park Secondary School David went on to work as an apprentice plumber and study basic plumbing at Mohawk College, followed by intermediate plumbing at George Brown and advanced plumbing at Conestoga College. Becoming a Master Plumber in 1984. David also completed a business-planning course through Conestoga College, which attributed to the operations of Keystone Plumbing & General Contracting, opened by David in 1993. More recently, David offers nearly 20 years of real estate experience, and achieved his broker license from OREA in 2008. 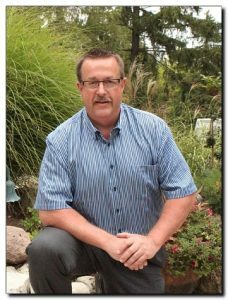 David resides in West Galt with his wife Yvonne, and is a proud father to three children. When David is not selling homes, he enjoys scuba diving or reading a book in his backyard next to the woodstove. David’s good sense of humour, years of experience, professionalism and kind nature make him an outstanding realtor.